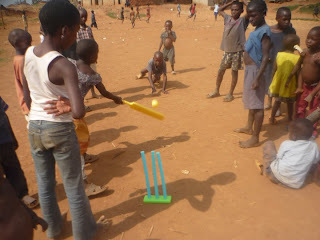 The aim of Kids Club Kampala is to bring hope and love to vulnerable children, and one of the main ways in which we do this is through allowing disadvantaged children the chance to just enjoy being children, to play and have fun away from the stresses and worries of their everyday lives. Giving children a childhood is at the heart of what we do. 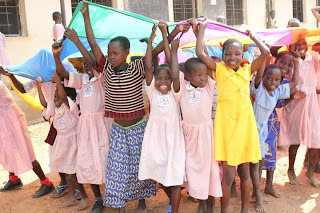 This is the reason we started KCK in the first place – we wanted to overcome the lack of hope and self-esteem of children living in situations of extreme poverty, through showing the children love and by bringing joy into their little lives. 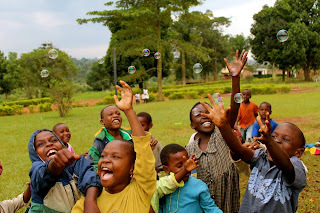 All children deserve the chance to have a proper childhood, and the right to play is one of the rights of the child – this is why one of our core values is to have fun! 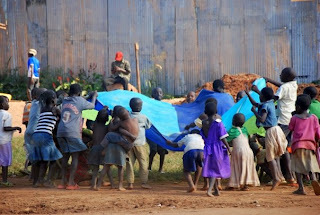 We bring love, hope and joy to the children through running various children’s activities - every week, teams of dedicated local volunteers work with the children and run ‘kids clubs’ in their local areas for the children. This includes playing sports and games, singing songs, providing snacks and sharing a message of hope through Bible stories. We also run football coaching, music and dance training, children’s camps, Christmas parties and lots of other fun activities to empower the children and to let them know that they are special and they are loved.